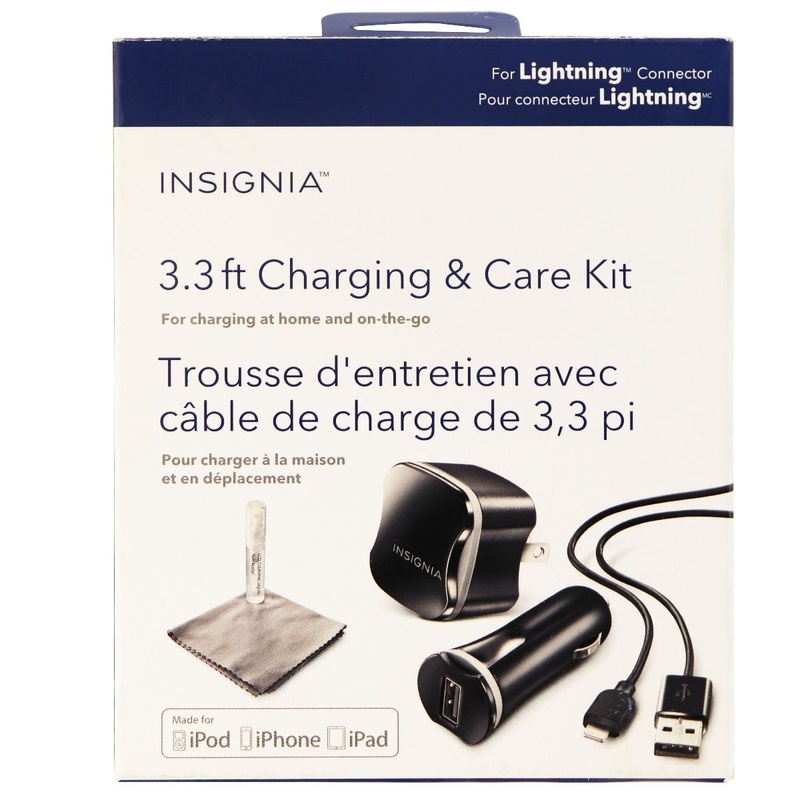 Insignia products, A Lightning Car, Wall, and Cleaning Charging Kit. Model: (NS-TKITA5-C). Black color design. - 3.3-Foot (1 Meter) Lightning cable connects to your Apple devices. 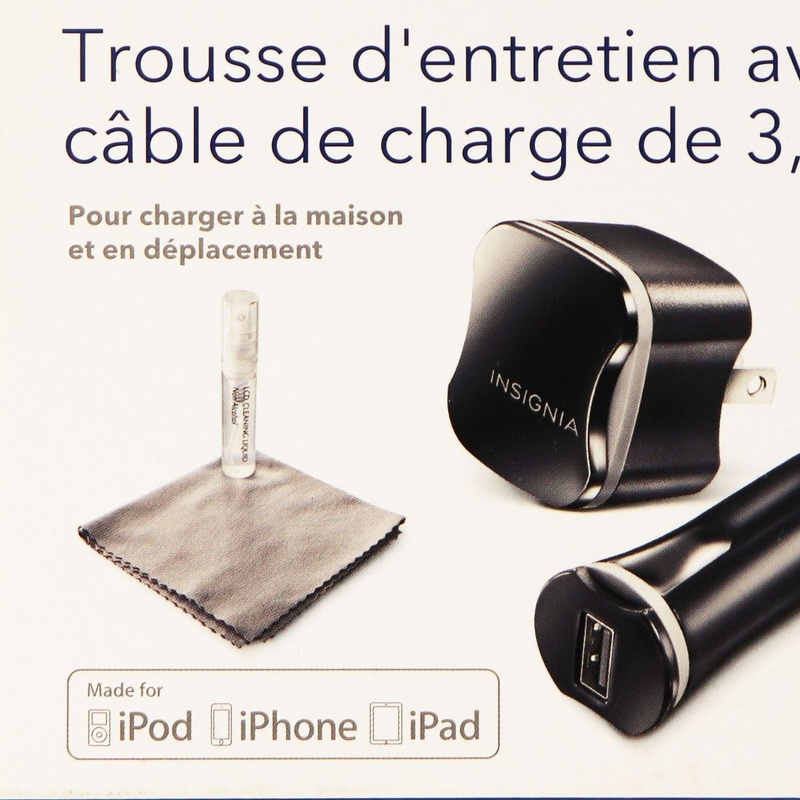 - 12-Watt/2.4-Amp wall charger powers devices at home. 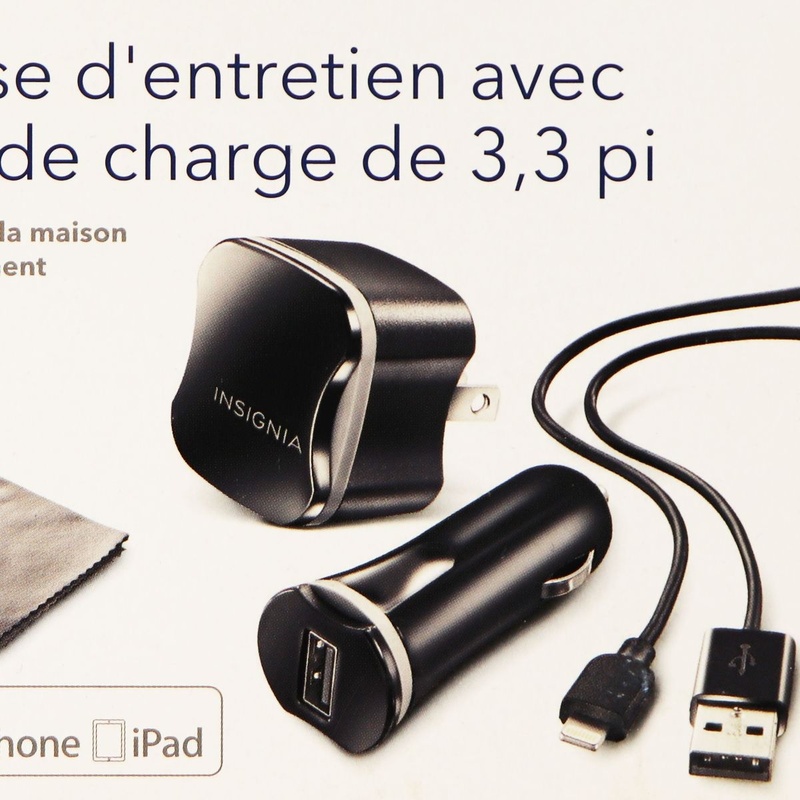 - 12-Watt/2.4-Amp car charger powers devices on-the-go. - Cleaning solution and cloth remove dust and fingerprints.